Chase Mission Main Street Grant – VOTE NOW! 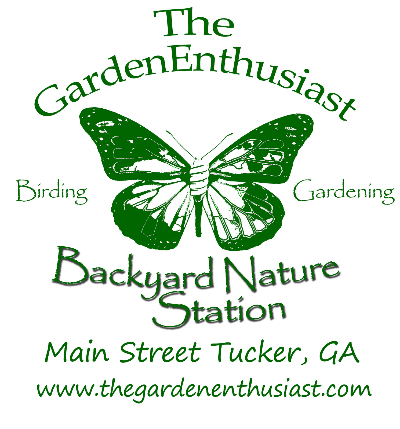 The Garden Enthusiast-Backyard Nature Station is hoping to win a $100,000 grant from Chase Mission Main Street. It will help us to complete our 6000sf Children’s Garden, expand our product lines, update our website, provide more programs, update our point of sale, and more. Can you please take a second NOW and share this with everyone else you can think of? We have to have 250 votes to get to the next level. As of this mailing we have 202 votes. Your vote counts! You have to have a Facebook account to vote. If you do not have one, please take a moment to forward this to others that do. I would appreciate it! Voting ends June 19th. If you have already voted - thank you for your support! As we were eating dinner on the front porch last week, we saw our first lightning bug. That has always meant Summer to me (even if it's not yet June 21st). Fledglings are in our birdbath and our feeders, what a sight to see! Summers also means lots of housewarmings and weddings! We have some unique gifts! Father's Day is around the corner (June 21st) and sons and daughters are in search of the perfect gift. While others pick up ties and t-shirts, why not stop in the store to find the perfect gift that will bring dear old dad closer to Mother Nature. You know your dad best, so give him a gift that's as unique as he is. With many products worthy of Dad's approval throughout the store, you'll find the perfect one that really celebrates him. And, to help you out even more, we've even given you some suggestions below. Give Dad a squirrel solution this Father's Day! 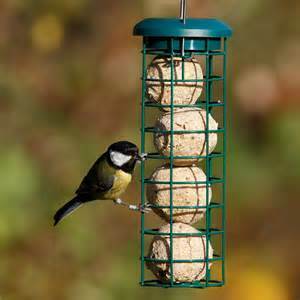 Squirrel Buster Plus bird feeder is our top seller. The spring mechanism of the Buster foils squirrels and the tension can be adjusted to discourage large birds as well. Birdhouses are always popular Father's Day gifts and we have an abundance of choices. 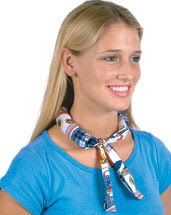 They range from modern to basic in style. Rustic, architectural, whimsical--we have it all! It's a great gift for Dad and for Mother Nature. Not to mention, great mosquito control - did you know that a single bat can eat up to 600 insects per hour? Multiply that by eight hours a night, then multiply that by 300 - because that's how many bats our boxes can hold! (We have smaller boxes available.) The key to success is all in the mounting. Stop by or email us to get the details.. Looking for wind chimes? We have a huge selection of Woodstock Percussion chimes, along with other brands. With a wide range of sizes and styles and sounds, you are sure to find something to please Dad's ear! This Father's Day, give the gift of time (and fewer back aches!) with the Telescoping Ratchet Lopper! Ratchet pruners reduce the amount of strain that you put on your hands and other muscles. They have a special ratcheting mechanism that allows you to split a single cut up into several different squeezes that take less strength. The full-size ratchet lopper cuts up to 2.5" in diameter with ease. It features easy push button telescoping aluminum handles (18"-31" for short or long reach), non-stick coated blades, and contoured handle for comfort. "Your dad called, he said he'd love a Kombi!" The kombi shovel, also known as "the shovel with attitude", will be a wonderful addition Dad's tool shed. The Kombi Shovel is a combination garden tool that is wedge shaped with sharpened teeth. It's crafted in North Georgia and engineered specifically to drive though our Georgia red clay! Used in a sliding back and forth movement parallel to the ground, the Kombi can be used to cultivate, edge and weed flower beds, vegetable gardens, walkways, driveways, etc. It is also used to cut brambles and light brush, dig holes for planting bulbs, seeds and plants. Available in various sizes! Stop in and pick up the "less effort" shovel today! It’s been another busy month in the Children’s Garden. Our water feature is close to being complete thanks to Steve Key and his guys from Key Tile (in Tucker). They finished tiling the pool with Terrazzo. It’s beautiful! Scott has completed much of the construction on the 6 aquaponic beds. More planting is underway. It’s really beginning to look like a garden! Thanks to the Mountain Shadow Garden Club for their very generous donation, Dan Niccum for plants, Ellen & Kevon Watson for a Droll Yankee Flipper, and Doug and Christine Davis for a wooden glider. 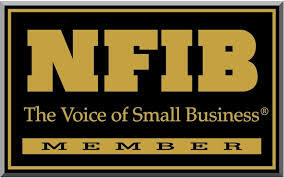 Grand opening news will be in the July newsletter. Linda, Got my newsletter, was busy last week and just read it – darn missed a lot of good stuff. We were at Gwinnett Relay for Life Friday and stayed the night so Jim was out most of Saturday and I cleaned house. Next time I will read faster! Joyce S.
Due to our vendor request, we have continued to sell some of the items from our sidewalk (hallway) sale. I don’t know how long we’ll have them, so take a look and get the deals while you can. 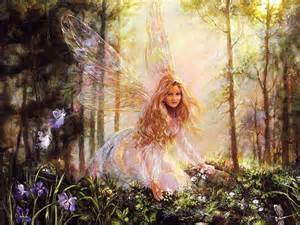 National Fairy Gardening Day is Tuesday, June 24th. Come celebrate with us and receive 10% off on ALL fairy items. Explore our very own enchanted garden and be sure to check out the brand new gypsy garden collection! Whether it's an addition to your backyard or a Summer project with the kids, you are sure to have a blast! Our annual photo contest is coming up. Get your camera out and start taking your photos of anything backyard nature related – a flower, your garden, a bird, a butterfly, etc. Select the best one and bring it in by August 8th. Voting by our customers will be from August 10th through August 22nd. The winners will be announced on August 24th. The Tucker Cruise-in is an old fashioned town meet and greet of the car community. For more information, call 770-527-1521. 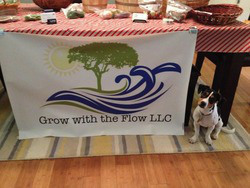 It’s National Fresh Fruit and Vegetable month so check out one of the newer vendors, “Grow with the Flow”. Reggie and Roger Ramos started this in 2014. Reggie is a fellow Master Gardener for Dekalb County and volunteers at the Tucker Butterfly Garden. If you haven’t checked out their produce yet, go by and say hello. They now have collards, salad mix, Swiss chard, lettuce, radishes, Chinese kale, and cilantro...coming soon...beans, squash, cherry tomatoes, Roma tomatoes, tomatillos, ground cherries, cucumbers, Yukon Gold potatoes, pac choi, arugula, basil, Red cabbage, and much more. “Grow with the Flow LLC is a Certified Naturally Grown urban market garden that practices intensive square foot method, permaculture techniques, and growing with the natural flow, hence our name. The farm is located in the heart of Tucker, Georgia, just a few blocks from Main Street. Visitors are now welcome to Doug and Christine Davis’ ‘woodsy-oriental” flower garden at 4750 Westhampton Drive, Tucker. 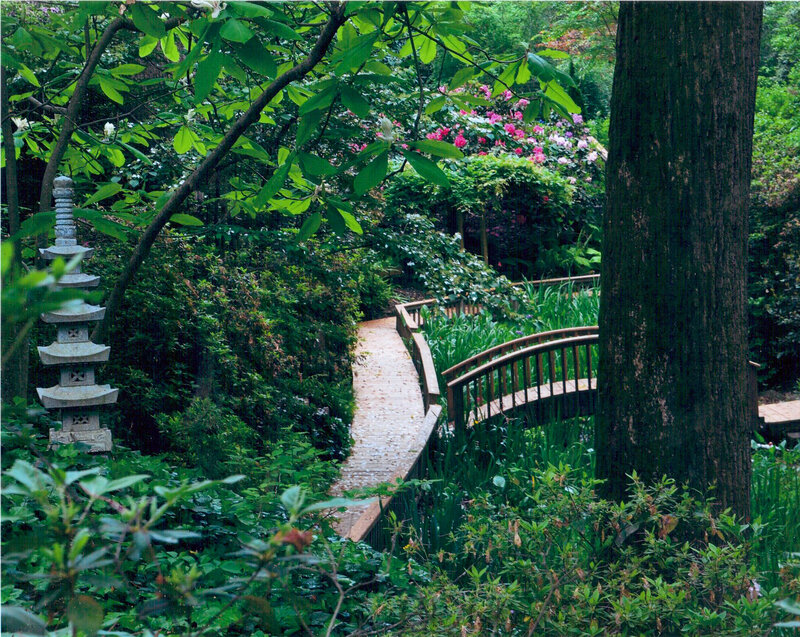 Nestled between Lake Nesbit on one side and the east branch of Jackson Creek on the other, the garden now has 700 feet of boardwalk to guide the visitor through its 2 acres of unique vegetation and statuary. Noted for its rhododendrons, azaleas, camellias, hydrangeas (now in bloom), and stands of moso (40 ft high) and black bamboo, it also has numerous Amish gliders to relax in. The latter provide visitors both the opportunity for quite reflection and/or unique garden photo shots. For additional garden info go towww.douglas-davis.com. It is time to divide your iris clumps. Come join us to see how it is done. Ken Duke, GIS member, Master Judge and Landscape Designer will demonstrate proper division and replanting of your iris. The Tucker Historical Society Garden Tour was a hit again this year. I thoroughly enjoyed my time in every garden. The first garden I toured was Joan and Carey Kidd’s. From the unusual, very old baptismal font birdbath to the delightful fairy garden and on to the different seating areas ready to sit down and have tea, they have created a wonderful habitat to be enjoyed by all – including the birds! Next was Wanna and Tong Woowong’s garden. Just when I thought I had seen every part of the garden filled with hosta and ferns, annuals and perennials, and fish pond, Wanna directed me to the large lower expanse of a vegetable garden, the gazebo on the creek and more! Jeanne and Grant Knox’s garden was a delight of whimsical, blooming shrubs, potted plants, and a great garden swing hidden among jasmine vines. The view from the second story deck was another enticement to sit and stay for awhile. One the side of the house of Scott Topping’s and George Wellborn’s garden I wondered past wonderful bonsai plants and from there through a whimsical gate I entered a garden filled with many hidden treasures. There were scattered art pieces among the azaleas, dogwoods, hosta, ferns and a beautiful Japanese magnolia as well as an unusual moss and stone garden. The Tucker Butterfly Garden’s expansion that features native plants is a great addition to the garden. This garden is a wonderful educational experience for all ages. I saved Renee and Denny Hopf’s 2 acre garden until the end. As I headed up to the garden behind the house I was greeted with a beautiful blooming Kousa Dogwood. The 25’ waterfall was a beautiful focal point of the garden along with all of the many trails that led to statuary, birdhouses, playhouse, and more. Butterflies and birds were enjoying the lower meadow habitat. Kudos to the gardeners for sharing their love of gardening with others! On May 17th I went to the Sunday matinee of “Harvey” which was Main Street Theatre’s first production. What fun! Don’t miss out when they present “The Odd Couple” this fall. This is a self-guided your of 11 uniquely beautiful pools and gardens covering Alpharetta, Roswell, and Marietta. Cost is $15 per adult and includes a free membership to the club for the rest of the year. Woodlands volunteers and staff have been very busy with bringing more unique ways to enjoy the gardens. Explore their trails in a new way with OnCell, a mobile phone based guide. Volunteers compiled information about Piedmont Forest historic uses and legends. At each stop on the trail you can listen to a message about a featured tree or plant. They have also added yoga sessions in the Pavilion on Thursdays from 5:30 – 6:30PM and Saturdays from 9:30 – 10:30AM. Festivals continue at Gibbs Garden throughout the summers. In June you can experience the Daylily, Water lily, Hydrangea, Rose, Fern Dell and Azalea festivals. Free walking tours of the Atlanta Beltline Arboretum every Friday and Saturday at 10am. Register here on the 20th of every month for the following month’s walking tours. We had a great first meeting last month, spending time going through the design of our Children's Garden Aquaponic system. If you are interested in Hydroponics, Aquaponics, Aeroponics or any related technique, please join us the third Thursday of each month (June 25th is the next one) at 6pm. This is an informal group, with no dues or time commitments. The aquaponics system is moving steadily, albeit slowly, towards completion. If you would like to help with the setup, please contact the store. We are working on the system most afternoons and would love the help. Aquaponics is a sustainable form of agriculture that produces more food in less space and with significantly less water than traditional gardening techniques. A great addition to any backyard and a great family project. 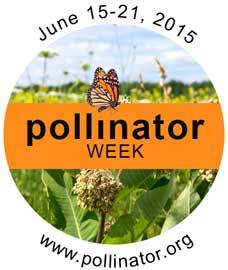 Pollinator Week is June 15-21st. Take a stroll through your garden to see what plants that you have to attract pollinators (bees, butterflies, moths, some birds, bats, beetles). Don’t have any – think about adding a few! Most plants cannot produce fruit and seeds on their own; they rely on pollinators to help transfer pollen between flowers that leads to fertilization, seed and fruit production. That’s important because we depend on these plants for food, beverages, fibers, and medicines. And, they provide us with the beautiful flowers that grace our gardens and our tables. Help the cause and plant pollinator-friendly seeds/plants. We have a great selection of pollinator-friendly Botanical Interests seed varieties including: borage,chamomile, dill, columbine, cosmos, cypress vine, flower mixes in regular size packet, sunflower, and zinnias. Many plants can still be planted now, but they will take more attention and care to survive. Make sure you provide them with adequate water. Use soaker hoses when you can to conserve water. Water before 10AM to avoid evaporation. Remember to pick your okra, squash and cucumbers regularly. A fully ripe fruit left hanging can halt the production of blooms. Having slug problems? Have you tried putting out a hollowed out half cantaloupe shell or putting beer out in a container? Check them every day and put the collected slugs in a bucket if soapy water. Fertilize your outdoor houseplants regularly. Watering leeches out the nutrients. Prune back your hydrangeas when the blooms have faded. This may give you more blooms this fall. Deadhead blooms from your annuals and perennials in order to get more blooms. Does your parsley or fennel have big green caterpillars? Leave them alone and you’ll have beautiful Swallowtail butterflies. Plant more for your own use! It’s a great time to take cuttings from the fresh growth of many trees and shrubs. Use Neem Oil or Insecticidal Soap to help keep insects under control. Raise the mower blade up one notch and make sure the blade is sharp. Don’t mow when the grass is wet. Keep your garden shovels and hoes. sharp. They will cut through the soil better and make it easier for you. Growing up with trellises is a great way to conserve space in your garden as well as increasing circulation among the plants, and lessening the chance of disease. You'll be able to grow more vegetables in less space and they'll be easier to pick. In the Children's Garden we are using bamboo, PVC, string, chain-link fence, and pallets for vertical beds growing cucumbers, beans, pumpkins, watermelon, squash, and tomatoes. We'll be using pantyhose as a support sling for the heavier vegetables. We'll also be planting some pollinator friendly vines on trellises. Your squash looked great yesterday and then they started to wilt and then died – what happened? Likely a squash vine borer has invaded your plants. Adult borers emerge from the soil in June and July. They deposit an egg at the base of a plant like squash or pumpkins which hatches in about a week. The larva goes into the stem feeds and then leaves and heads back to the soil so the process can start over next year. Prevention is the best solution. Rotate your crops. Try more resistant types such as butternut. Try putting netting over your crops until they start to flower. (Do not do this in an area that you had squash borers in last year.) Then remove the netting for pollinators. Remove vines as soon as they have finished producing. Try a second planting of squash in early July which will mature after the adults are finished laying eggs. The adults are attracted to yellow, so try putting a yellow container out filled with water which they will be trapped when they fall in. If the squash vine borer has already damaged your vine, try slitting the stem and removing the borer. Then pile dirt back up around the stem covering the slit. Container gardening is fun, easy, and provides almost instant gratification. It’s great for small spaces or to liven up larger spaces, hide an unsightly area, and to provide focal points of color. They don’t take as much time as in ground gardening, they can be moved around, and you can plant your vegetables, herbs, and fruit trees in them, too. You can plant them close by on your patio, deck (surface or railing), balcony or porch for visual color, beauty, and enjoyment. They will also attract pollinators and other beneficial insects to your garden. You will need sun and access to water. Since the Children’s Garden is built on a reclaimed alleyway, we’ve used many containers along with the raised and aquaponic beds. The downside is they dry out much quicker because they are growing in less soil and need a steady supply of water. In hot weather be prepared to water them daily – some may require more than that. What to use? Lots of things can be used for container gardening such as an old wheel barrow, a drawer, a birdbath (but make sure you keep one with water for the birds!). Look around at what you have and think creatively. Just make sure whatever you use has good drainage holes. Self-watering containers have a water reservoir plus a method that wicks the water up into the soil as needed that save time on daily watering. Containers that are made from non-porous materials like plastic or glazed ceramic will dry out more slowly than ones made of porous materials like wood, cocoa fiber/moss lined and terra cotta. If you garden in a cold climate and your containers will need to spend the winter outside, clay or ceramic containers are not the best choice, as they may crack in freezing temperatures. They should be emptied and stored out of the weather. Size - Larger containers won’t need to be watered as often and provide more space for your plants to grow a healthy root system. Of course, they can get pretty heavy, too. It can help to put the really heavy ones on pot caddies with casters. You can also invert a plastic or clay pot in the bottom to decrease the need for as much soil. Color – try monochromatic (shades of a single color), analogous colors (those that are next to each other on the color wheel such as yellow-orange, violet-red, blue-green), complimentary colors (colors that are opposite each other on the color wheel such as red and green, blue and orange, yellow & violet), or triad colors (three colors that are space equidistant on the color wheel such as red, yellow and blue). Use a color wheel to help when coordinating colors – or just go with what feels right to you. Hot colors such as red, orange and yellow draw your attention while cool colors such as blue, purple and pink are more calming. Think about where you’re going to place the containers as you decide on your colors. Structure – Many people design their containers based on the thriller, filler and spiller concept. The thriller plants are typically the tallest in the container and may be in the middle or back according to how the container is viewed. They can offer drama and visually draw the eye. Fillers are more rounded and fill in around the thriller plant. Spillers trail over the side of the container and can offer an added burst of color or texture. Foliage and texture - dark foliage can highlight light colors and provide drama and contrast; chartreuse and silver blend with colors. Textures can vary from very fine to bold and can add a different dimension to your container planting. A mixture of both generally works best. Climate - The roots of plants in containers are more vulnerable to cold than the roots of plants in the ground. If you’re interested in growing perennial plants in containers including fruit trees and bushes consider choosing plants that are rated to two hardiness zones colder than the zone you’re in (e.g. if you are located in Zone 7, choose plants rated to Zone 5). Planting – Start with a good (organic) container planting mix such as Happy Frog/Fox Farm. The soil you use is very important – if you want healthy plants do not buy cheap soil. Container planting mix allows for better drainage and aeration for the plants and helps to retain moisture. Good drainage is key. Use one with fertilizer already in the mix or add at the time of planting. If you want immediate results then place more plants in to fill the container up. For the long term, and if you’re patient – plant fewer plants and allow them to grow in. This will allow for better circulation and healthier plants and should last longer. Moisten the mix (damp, not wet) before you fill your containers. Add enough planting mix so that, when the plants are in place, the mix level is an inch or so below the rim of small containers and two inches below for large containers. Do not put gravel or rocks in the bottom of your containers. It actually hinders drainage. It’s best to replace all of the soil at least every other year. In the off years just replace the top half. If there have been disease issues, you’ll need to replace all of the soil. Don’t forget when you’re changing the soil out, to clean your containers prior to re-potting. Watering – don’t overwater. Check the container (not just the surface soil) before watering. Overwatering can kill a plant just as under watering can. A drip irrigation system hooked up to a timer saves time. Water only when the top of the soil is dry to your touch. Water until the water comes out of the drainage holes. Don’t let your containers sit in water. I don’t use saucers because of this – and they are a breeding ground for mosquitoes. 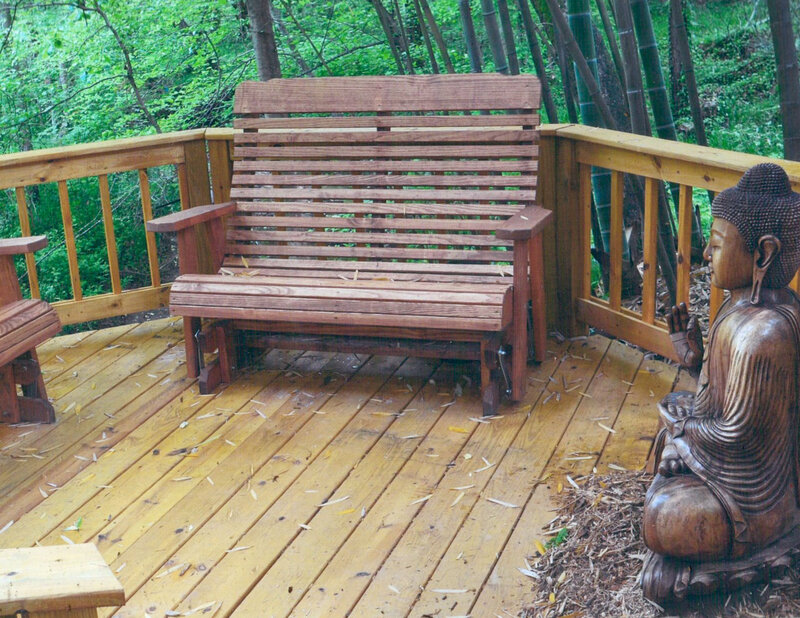 To keep drainage from containers staining your deck, put pot feet or bricks underneath. This helps prevents moisture buildup and discourages mold and algae growth. Trimming – Freshen the perennial/annual containers up as necessary to keep them looking good and not too leggy. This can encourage reblooming, too. In mid to late summer take some pruner or sharp scissors and trim an inch or two off all of the plants. Although this will take some of the blooms off, it will increase branching and with fertilizer will produce a prettier plant for the rest of the season. Fertilize – A lot of water goes through your containers so nutrients get leeched out regularly. A regular fertilization schedule is essential for the growth of your plants.. Try using a slow release fertilizer which will last for 2-3 months. It will take the guess work out of when to fertilize. As the plants get larger, you’ll want to supplement with regular applications of water-soluble fertilizer every couple of weeks. Instead of using a slow release formula you can use water-soluble fertilizer every week or every other week. Regardless of which one you use, follow the label directions. (Ours? – compost tea, fish, seaweed) If you are not getting the blooms you want, you can try adding a liquid fertilizer once a month that has a high phosphorous count. Mulching the container swill also help to retain moisture. Pests – There will probably be fewer problems with pests in your container garden. You can pick off any that you see or use Insecticidal Soap for control. Check them regularly. Aphids can be washed off by spraying the plants with the garden hose. Cold weather (I know its long time off but…) - containers and their contents need protection from freezing temperatures. Even hardy perennials, trees, and shrubs cannot tolerate completely frozen roots. When the time comes, wrap chicken wire around the pots of small trees and shrubs and stuff with loose mulch, such as straw. Store in an unheated but not freezing garage or basement for the winter. Terra cotta and ceramic pots may crack if left outside to freeze. Empty their contents into the compost pile and store the dry pots in a protected garage or basement. Are you growing pumpkins for Halloween? It can be a challenge in Georgia because of disease and insects. They need a rich soil with a ph of 6.5 – 6.8. Adding compost to your bed before you plant can be beneficial. If you haven’t planted any yet, you still have time – until the end of July – depending on which variety you choose. Some pumpkins require trellising (and this can help prevent disease); others are bush varieties. Mulch! Vine borers attack pumpkin plants just as they do squash. They also get powdery mildew here due to our humid weather. You’ll have to really keep an eye out for insects and disease in order to manage them. For bigger fruit thin some of the early fruit off the vines. We will be trying our hand at these in the Children’s Garden. We’ll see if we have some for Halloween. Now that you are out for the summer, can you find ways to learn more about nature? What about doing something special for your Dad for Father’s Day? You could invite your Dad out for a walk on Father’s Day whether to a park or in your neighborhood to look for interesting plants and birds. Maybe play I Spy. Or, you could take a walk that night with flashlights. Can you find the lightning bugs or hear nighttime sound like frogs and crickets? You could make up an adventure story as you go. You can help your Mom prepare dinner using fresh veggies from your garden or the farmer’s market and surprise him. Maybe try a vegetable you’ve never had before. Ask him to visit the Tucker Butterfly Garden or one of the other local gardens – or visit the Atlanta Botanical Gardens. They have a really awesome light show that starts at dusk that uses miles of optic lighting. Be creative! Create a memory – and be sure to take a picture! If you have a family garden, one of the things you could help with this summer is watering. Usually plants need at least 1” of water per week – provided through rain or hand watering. If you have a rain gauge it will help to keep up with the rainfall and how much you need to water. Early morning or evening is usually the best time to water. I like to water best in the morning so my plants don’t stay wet overnight. That sometimes will cause disease in your plants. Water plants gently – they don’t generally like to have a strong burst of water on them. Water at the base of the plants where the roots can soak up the most moisture. This also helps to prevent wasting water. Water them slowly, allowing the water to soak into the soil. When you go out to check the veggie and flowers, you’ll know that you helped them to grow! Fill your feeders only half way and change the seed regularly. The humidity of our summers creates the opportunity for mold to grow which can be dangerous for the birds. Try using Feeder Fresh to keep the dampness out of the seed in your feeder. Keep suet in the shade under trees. If you notice signs of mold, replace it. Try using the no-melt varieties during the summer. Clean your feeders regularly washing with a 10% bleach solution or with Bird Feeder Cleaner every two weeks. Clean up the seed hulls and droppings under feeders on a regular basis. Concentrations of these can lead to a bacterial illness (salmonellosis). Use a Hummer Helmet over hummingbird feeders to prolong the quality of the nectar. It's a busy time of year for our backyard birds. Many have already started their second broods. We have adults, fledglings, babies and eggs in the nest. What do you do if you find a baby bird? 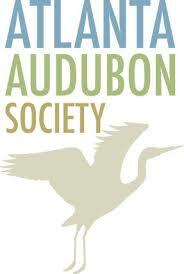 Click on the following resource from the Atlanta Audubon Society to help guide you: I Found a Baby Bird! If needed call AWARE Wildlife Center (or another licensed wildlife rehabilitator) at 678-418-1111. Many time the best solution is to leave the baby alone. !! 15% Off Throughout the Month of June !! Attracts a huge variety of birds! From woodpeckers to jays to chickadees, there are a huge number of birds that love to visit the suet ball feeder. Can also hold seed balls. • These small finches are around 6” long with brown wings and a short forked tail. Males have a raspberry colored head, breast, back and rump. Females have with light brown upperparts and white under parts and dark streaks throughout. They have a white line above the eyes. • They primarily eat seeds, berries (i.e. blackberries, juniper berries, honeysuckle), and insects. They will come to your feeders for black oil sunflower seeds, millet, and thistle. They use their conical beak to crush seeds and extract the nuts. They’ll eat nectar out of flowers. • They nest on a horizontal branch or in a fork of the tree usually under an overhanging branch. The female is primarily responsible for building the cup-shaped nest using twigs, sticks, and roots. She then lines it with softer materials such as animal hair, moss, and fine grasses. 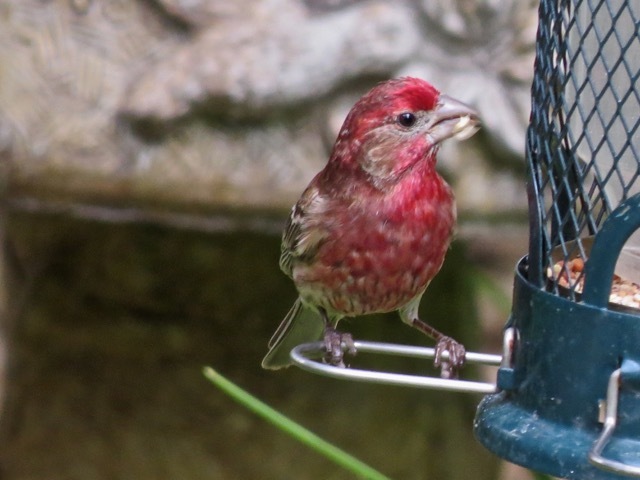 • The Purple Finch clutch size is 4-5 pale greenish-blue eggs marked with brown and black. They have 1 brood per year. Incubation period is12-13 days and they fledge in 13-16 days. The female incubates the eggs. The male helps with feeding the babies. • Their song is a rich warble. They sometime add in the sounds of other species such as Goldfinches, Eastern Towhees, and Brown-headed Cowbirds. They make a distinctive “tic” note in flight. • Their numbers have been declining possible due to the introduction and competition of house finches. • The Purple Finch was first described in 1789.The oldest recorded one lived to be 11 years 9 months. Check out the upcoming field trips from the Atlanta Audubon Society (get in touch with them for more information at 678-973-2437). There is one this month (*) that is close by. Birding Focus: Come discover more about the birds of Fernbank Forest. This program is excellent for beginning birders or those desiring gentle terrain. All ages are welcome. Cost: This program is free for Fernbank Museum members and Atlanta Audubon Society members. Advance reservations are required at 404.929.6400. Participants should check in at the Museum ticketing counter, then meet the walk leaders in the Museum lobby. Due to the nature of the program, latecomers will not be accepted. Birding Focus: We'll be looking breeding birds in wetland and woodland habitats. Likely species include Great Blue Heron, woodpeckers, thrushes, warblers, and vireos. Any level of skill is welcome. Birding Focus: Breeding residents, including waterfowl, raptors, sparrows, woodpeckers, and warblers. This walk is suitable for adults and children over 14 years of age. Please do not bring your dog. Birding Focus: Breeding residents. All levels welcome. Excellent for beginning birders or those desiring gentle terrain. Birding Focus: We will look for woodland birds such as woodpeckers, including Pileated Woodpeckers, and Barred Owls. The trail passes through mature deciduous forest and along several ponds. Copyright © 2015 The Garden Enthusiast - Backyard Nature Station, All rights reserved.